Each anthology is a collection of interwoven short stories by emerging writers handpicked from across the English-speaking world. Unlike other anthologies, Chinese Whisperings is created in a sequential fashion and each story stands on its own merits while contributing to a larger, connected narrative. 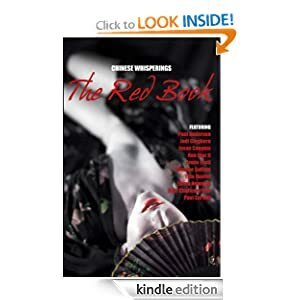 The Red Book, the first of the anthologies has each successive writer taking a minor character from the preceding story and telling their story as the major character in the next story. Each writer also references events from the preceding story to tie the ten stories together. The anthology can be re forward, or backward, or begun in any place because of its circular nature. 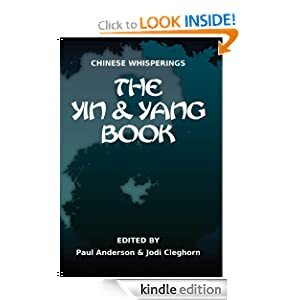 The Yin and Yang Book takes the concept a step further, with the anthology played across parallel airport universes stemming from a decision to retrieve a stolen painting or to leave without it. It's a sliding doors/spider web hybrid. Readers will see common characters slipping across the two universes, some of them behaving in slightly different ways. The parallel universes are anchored between a common prologue and epilogue. The edited short stories in these anthologies are 4K - 6K. That's a lot of terrific fiction to make your Kindle happy, all for the price of a free click! Want to enjoy this great writing by authors you love, but don't have a Kindle? NO PROBLEM! Get one of the free Kindle apps for PC, Mac, iPhone, Android and a host of other devices. Read them at home, in your favorite coffee shop or on the go!